Abrasive peeling system. The abrasive is highly resistant and long lasting and is food grade. Integral control panel complete with on/off push buttons and a 0-6 minute timer. 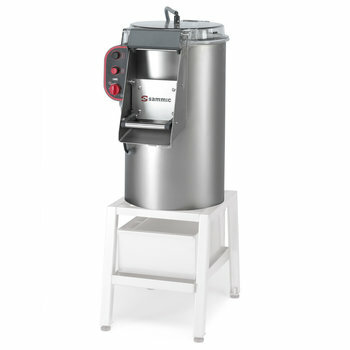 Optional extra: stainless steel floor stand and filter with no-foam feature. 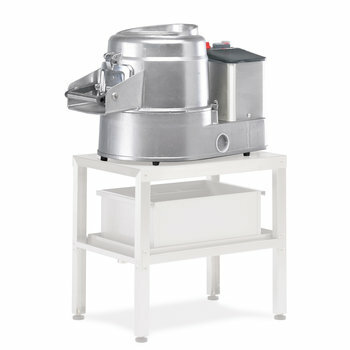 PP-PPC commercial potato peelers are made of highly resistant aluminium with chamber walls and base plate lined with a resistant and long lasting abrasive. 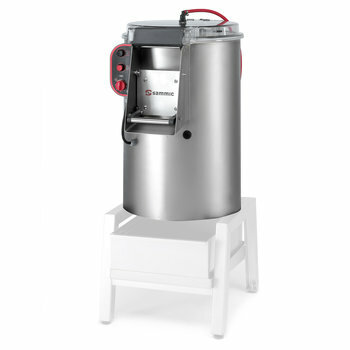 The cylinder is orientable and all models include an integral control panel complete with on-off push buttons and a 0-6 minute timer. 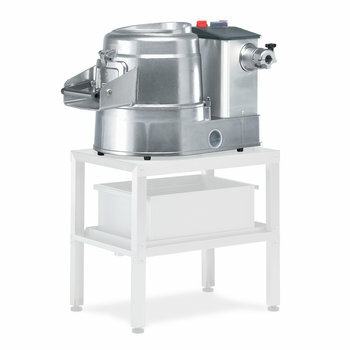 PPC models are equipped with an attachment drive to power accessories. 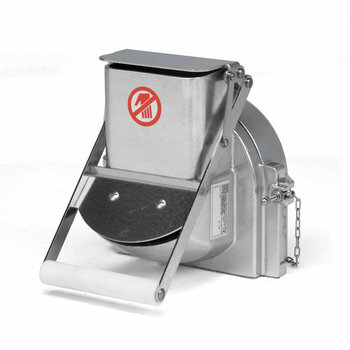 Sammic compact stainless steel potato peeler is a 5 Kg. capacity rumbler specifically designed for reduced space areas. 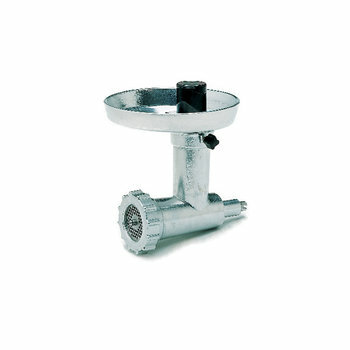 Easy to install, it is ideal for placement near a sink for drainage. 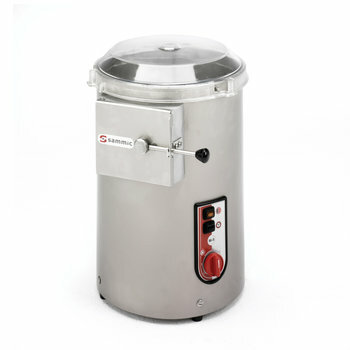 It can also be equipped with a stainless steel stand with removable filter chamber. 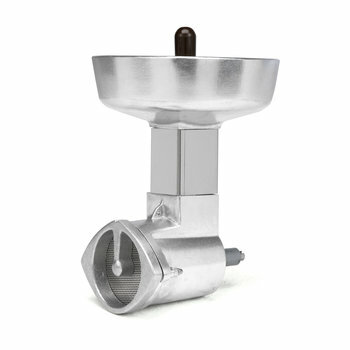 Stainless steel made, its base plate is covered with a resistant and long-lasting peeling abrasive. The water inlet system is equipped with non-return air break system. 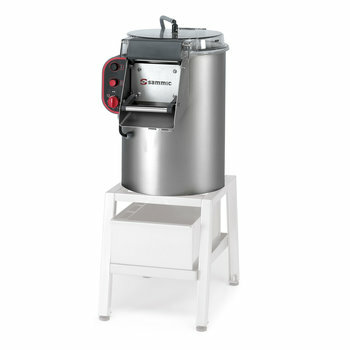 The control panel, complete with a 0-6 minute timer, offers the possibility of continuous use. 5 Kg. / 11 pounds load per cycle. 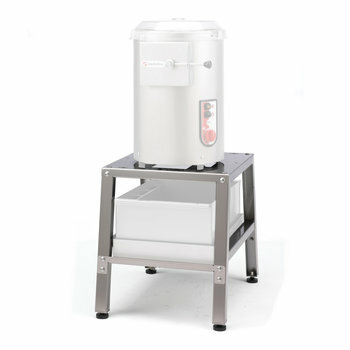 PES-20 is a combi machine: potato rumbler and salad dryer. 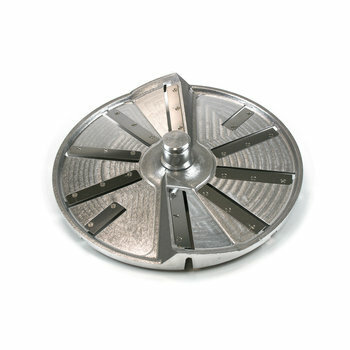 As a potato peeler, its features are similar to PI-20 potato peeler. PES-20 is complete with a drying basket to work as a salad dryer. Special plate with knives instead of abrasive.